Carmody Groarke is a London-based architectural practice founded in 2006 by Kevin Carmody and Andy Groarke. The practice has developed a reputation for working internationally on a wide range of arts, cultural, heritage and residential projects. 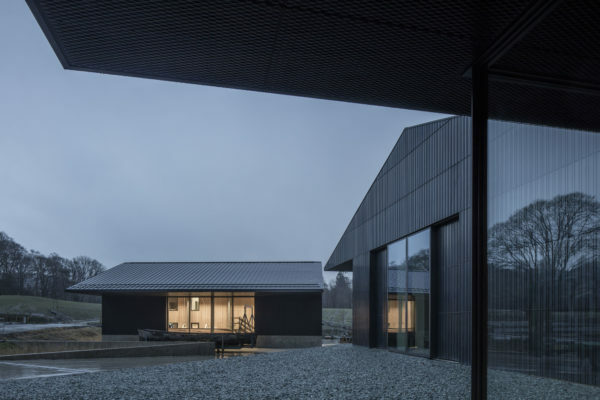 Carmody Groarke have designed critically acclaimed buildings including Windermere Jetty Museum, the V&A Members’ Room and Maggie’s Cancer Care Centre Clatterbridge. The studio has designed projects for clients including artist Antony Gormley, British Land and the Royal Academy of Arts. Current projects include a Temporary Museum for Charles Rennie Mackintosh’s Hill House, housing in Milan and a new international arts venue at Park Hill, Sheffield. The practice has earned international recognition, winning several architectural competitions and awards for completed projects. Two monographs of the practice’ work have been published by the world renowned El Croquis and 2G. Carmody Groarke has won several architectural competitions and awards for completed projects. These include: Building Design Architect of the Year, numerous RIBA Awards, AJ Small Projects Awards and Civic Trust Awards. They have also won the Mayor’s Award for Innovation in Planning, a Marsh Award for Excellence in Public Sculpture, several RIBA CABE Public Space Awards and in their second year they won the Young Architect of the Year Award. Carmody Groarke works on a diverse range of commissions in the UK and abroad for private, cultural and institutional clients. They have worked with several high-profile cultural clients including; The Royal Academy of Arts, Barbican Art Gallery, The Design Museum, The V&A, Frieze Art Fair, The Science Museum Group, Glyndebourne Opera, Carsten Holler, Julian Opie, Antony Gormley. They also work with organisations such as Argent, British Land, British Council, Hines, Fondazione Prada, Versace, Maggie’s and Wallpaper*. Kevin studied architecture at the Royal Melbourne Institute of Technology (RMIT) and Canberra University, Australia. In London he worked with David Chipperfield Architects before establishing Carmody Groarke. He has lectured internationally about the work of the practice and taught at several architecture schools, including the Bartlett (University College London) and The Royal College of Art. Andy studied architecture at The University of Sheffield and worked at several architectural studios, including David Chipperfield and Haworth Tompkins, before establishing Carmody Groarke. He has taught at several architecture schools including the Bartlett (University College London) and The Royal College of Art. Andy is currently a visiting Professor at The University of Sheffield and the University of Stuttgart. 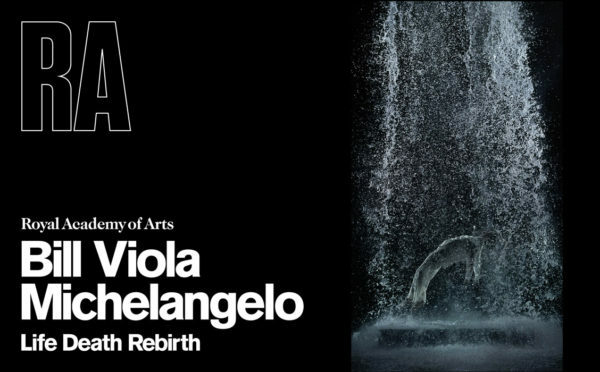 Bill Viola / Michelangelo: Life Death Rebirth, an exhibtion designed by Carmody Groarke, opens at the Royal Academy of Arts 26th January 2019. 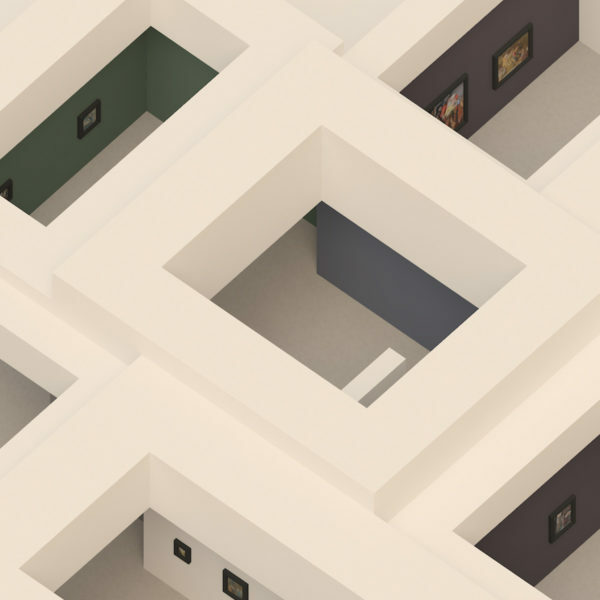 Carmody Groarke have designed an augmented reality gallery in collaboration with Google Arts & Culture and the Mauritshuis dedicated to the Dutch Master painter Vermeer. 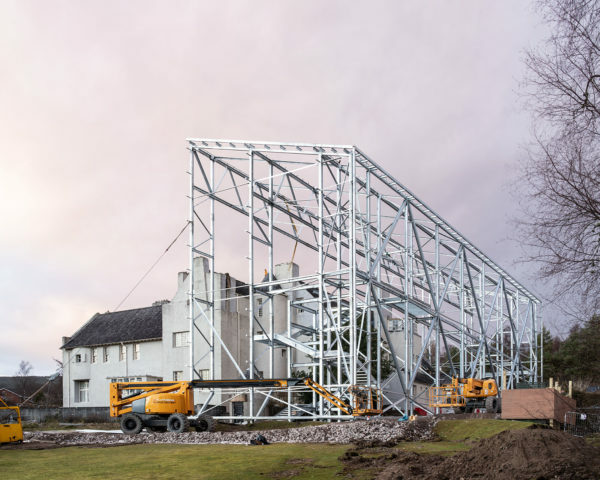 Construction of the Temporary Museum at Charles Rennie Mackintosh’s Hill House has begun. 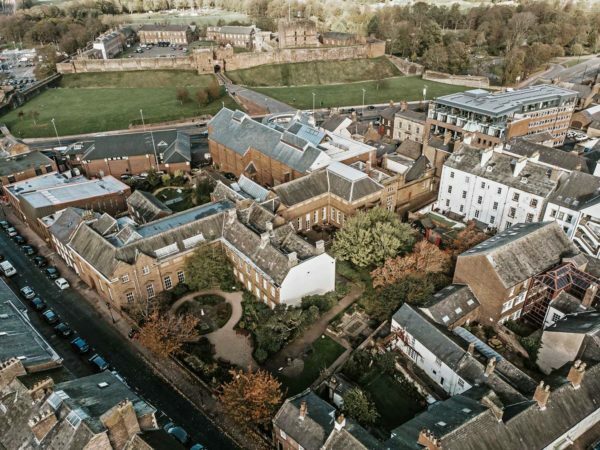 Carmody Groarke is working with Tullie House on the masterplan for their historic site. 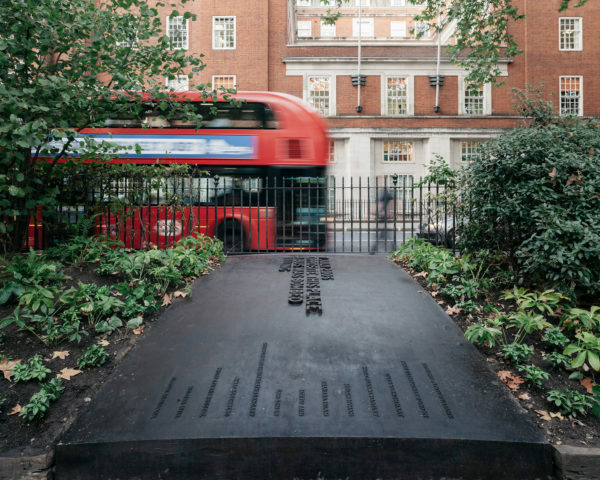 The permanent memorial commissioned by the 7/7 Memorial Trust for Tavistock Square has been unveiled. We may collect your personal data when you request information about Carmody Groarke or any of our services or projects. We may ask you to submit information about yourself in order to receive or use services on our website. Any information you provide through this website will only be used by us, our agents and service providers and will not be disclosed unless we are obliged or permitted by law to do so. Third party suppliers may process this personal data on our behalf, but they will use your data for administration purposes only. We endeavour to ensure that all the material on our website is accurate and up-to-date. However errors and omissions can happen, so the content is provided without any warranty, or liability. We do not warrant that use of the website will not infringe third party rights. We do not warrant that use of this website or materials downloaded from it will not cause computer virus infection or other damage to property. It is a condition of use of the website and the materials in it that use is at the user’s own risk. Neither we nor any of the website’s editors or contributors shall be liable for any loss or damages suffered as a result of any use of the website, including but not limited to direct loss, consequential loss and loss of profits (but not including death or personal injury). Your data will be shared with third parties if you are successful in your job application. In these circumstances, we will share your data in order to obtain references as part of the recruitment process/obtain a criminal records check etc. If your application is not successful and we have not sought consent or you have not provided consent upon our request to keep your data for the purpose of future suitable job vacancies, we will keep your data for [insert retention period] once the recruitment exercise ends. Gabriella Gullberg, the Studio Director, is the Company’s appointed compliance officer in respect of its data protection activities. She can be contacted at gabriella@carmodygroarke.com.